The nutraceutical industry is actively disseminating lies and suppressing the truth about its placebo pills. Luckily for you, the savvy consumer, RationalWiki is here to save the day and tell you all the things that "They" (including your naturopath) don't want you to know. As we all know, herbs are good and drugs are bad, right? Herbs are perfectly natural foods which can't do any harm whatsoever, and, at the same time, can cure every disease (meaning those statistics for pre-antibiotic-era lifespans must have been fabricated). This flies in the face of the fact that if you go into the forest and eat some random plant you find on the ground, you will probably die. In fact, many risky herbs were used for centuries in traditional medicine under the mistaken impression that they were safe because the side effects occurred either after a long time or in a small enough number of patients to avoid being detected. Here's a list of herbs Big Placebo doesn't want you to know the truth about. Aristolochia indica. Pretty, isn't it? Birthwort is a group of plants in the genus Aristolochia used in various traditional systems of medicine around the world, notably China and Europe. It was used as a panacea (what medicinal plant isn't?) Some of the diseases it "cures" include asthma, bronchitis, ulcers, snakebites, wounds, sores, lung disorders, fluid retention, scorpion stings, joint pain, malaria, stomach issues, ulcers, gall bladder disorders, pain, abscesses, stomach aches, malaria, gout, rheumatism, worms, arthritis, typhus, smallpox, pneumonia, amenorrhoea, fever, neuralgia, rabies, and (especially) childbirth (the name "Aristolochia" means "noble birth".) The reality is, birthwort is toxic to the kidneys and carcinogenic, because it contains aristolochic acid. For some reason, the many traditional medicine-men worldwide who used (and still use) this herb never picked up on these toxic effects. European birthwort is strongly suspected to have caused over a thousand cases of kidney damage in the Balkans, the so-called "Balkan endemic nephropathy". Birthwort has been banned in several countries, including Taiwan, the U.S., and Germany. Despite this, some alternative practitioners still recommend it, because, hey, if it's natural, it must be good! Madder (also known as Indian madder) is chiefly known for its use in dyes, but it's also claimed to be good for cancer, dyspepsia, freckles, acne, wounds, ulcers, erysipelas, eczema, scabies, hoarseness, diarrhea, worms, bladder stones, jaundice kidney stones, lack of menstruation, paralysis, and sciatica. Because of its dying properties, madder can turn urine, saliva, perspiration, tears, and breast milk red. This isn't the bad part, as the coloration is harmless. What is not harmless is that fact that madder root may cause cancer, miscarriages, and birth defects. So, no, madder root is not good for cancer. Quite the opposite, actually. Aconite's toxicity, unlike that of the other herbs in this list, was always well-established. In ancient times, aconite was used to commit murder. There is currently no antidote for aconite poisoning. Aconite taken internally in very small doses is supposed to be good for measles, cough, mumps, croup, neuralgia, gout, toothache, chills, pain rheumatism, bruises, arthritis, acute hypothermia, diarrhea, impotence, and yang imbalance. Now, the fact that it's poisonous doesn't necessarily mean it's useless (the dose makes the poison and all that), but do you really want to take a toxic herb that hasn't even been shown to work? A herb that is prescribed for yang imbalance? Even topical use is dangerous, as the plant can be absorbed through the skin. Betelnut chewing is very common in Asia, and betelnuts are also used in TCM and Ayurvedic medicine. Betelnuts can cause mouth, liver, cervical, stomach, prostate, and lung cancer. Chewing betelnut/leaf can cause skin color changes, dilated pupils, blurred vision, wheezing/difficulty breathing, increased breathing rate, salivation, increased tearing, incontinence, sweating, diarrhea, fever, confusion, problems with eye movement, psychosis, amnesia, stimulant effects, a feeling of euphoria, addiction, nausea, vomiting, diarrhea, stomach cramps, chest pain, irregular heartbeats, high or low blood pressure, and irregular heart beats. It's basically Asian tobacco. 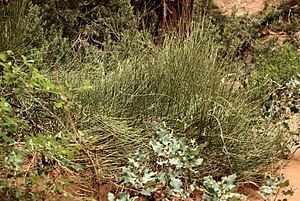 Ephedra funerea. You're damn right it's funerary. Ephedra is used in Chinese medicine, also as a panacea. Ephedra-containing supplements are banned in the U.S. because the herb is dangerous and can be lethal. It can cause dizziness, restlessness, anxiety, irritability, heart pounding, headache, loss of appetite, nausea, vomiting, hypertension, insomnia, arrhythmia, nervousness, tremor, seizure, cerebrovascular event, myocardial infarction, kidney stones, high blood pressure, heart attacks, muscle disorders, seizures, strokes, irregular heartbeat, loss of consciousness, death, and other side effects. Country mallow has ephedrine, like ephedra does, and as such is also dangerous. It's used in Ayurvedic medicine. Comfrey is used for wounds and stomach problems. It can cause cancer and fatal liver damage. Comfrey can also be absorbed through the skin. Chaparral is Yet Another Panacea (YAP), and it can kill you by causing liver damage and kidney failure. Greater Celandine is a YAP, and can cause hepatitis. Germander is used for weight loss, gout, fever, diarrhea, gallbladder problems, and claimed to be an antiseptic. It can cause hepatitis, cirrhosis, and death, and for this reason is banned in several countries. Feverfew is a good painkiller with mostly mild gastrointestinal side effects. Chewing it, though, can cause mouth ulcers, loss of taste, and swelling of the lips, tongue, and mouth. Digitalis purpurea, the common foxglove. Otherwise known as the "Russian Roulette" plant. Foxglove (or digitalis) is actually good for heart problems, but the thing about foxglove is that you can't have any idea how much digoxin (the active ingredient) an individual plant has. A certain amount of a foxglove plant grown in one place may work, while the same amount of a foxglove grown somewhere else may kill you. There's no way of knowing. The pure drug digoxin, on the other hand, is very precisely dosed. One study done on St. John's Wort suggests the herb may cause cataracts in people exposed to sunlight after taking it. Maybe it doesn't, as not much other research has been done, but the risk possibly does exist, so be careful. Groundsel is used for worms and stomach problems, can cause liver damage, cancer, and birth defects. Yerba mate is a South American beverage used for many, many conditions. It can also cause many, many types of cancer. Squill is used for heart problems, bronchitis, asthma, whooping cough, and wounds. It is also toxic and can kill you. The inclusion of licorice on this list might surprise you. Well, licorice can cause tiredness, absence of a menstrual period in women, headache, water and sodium retention, decreased sexual interest and function in men, miscarriages or early deliveries, raised blood pressure, and can make heart and kidney disease worse. Also, taking 30 grams a day (5 grams if you consume a lot of salt) for several weeks can cause high blood pressure, low potassium in the blood, weakness, paralysis, and occasionally brain damage, even if you're otherwise healthy. Senna really is good for constipation, but long-term use may cause dependence, heart function disorders, muscle weakness, liver damage, and stop the bowels from functioning properly. Lobelia (also known as Indian Tobacco) is supposed to be good for asthma, bronchitis, cough, and smoking cessation. Unfortunately, there's no evidence for it being effective. Even more unfortunately, the plant can cause profuse sweating, nausea, vomiting, diarrhea, tremors, rapid heartbeat, mental confusion, convulsions, hypothermia, coma, and death. What did you expect from taking a plant called Indian Tobacco? The "Holy Herb" Nicotiana tabacum. If medicinal herbs were actually required to be studied before being promoted for use, herb bottles would have huge lists of side effects, just like drugs do. Who knows what risky supplements are being sold right now? Ignorance is not bliss. This page was last modified on 29 May 2013, at 02:02.